Come and try dragon boating with Colour City Dragons. A fun sport for ages 12+ and all ranges of fitness. We'll supply the paddles and life vests and you can bring your sense of fun and adventure. Please wear covered shoes (sneakers), hat and sunscreen. It all happens on Lake Canobolas between 10am and 1pm on Saturday 26th January Australia Day. This is a free event. Would you like to lend your voice to suicide prevention in your community? We are keen to hear from you if you would like to be involved! suicide who would like to be involved. involved. 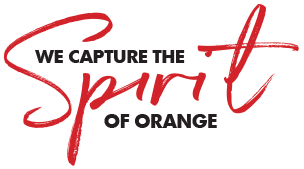 Program is scheduled in Orange for February 4 & 5. Member for Orange Philip Donato MP today, Tuesday 15th January 2019, acknowledged the NSW Government for responding to his request for accredited pharmacists to administer a wider range of vaccines to adults and some children. “I am pleased to see common sense has prevailed with the NSW Government agreeing with my request for accredited pharmacists across New South Wales to administer a wider range of vaccinations, including children 16 and over.” Said Mr Donato. “When I learned that current vaccination take-up rate for children was 93% and less than 50% for adults, I was motivated to support pharmacy delivered vaccinations, which would potentially improve take-up rates for children and adults, particularly in rural and regional areas where access to medical practitioners is delayed and costly. “Following a meeting I had earlier last year with Kristy-Lee Rigby, Vice President of the NSW branch of the Pharmacy Society of Australia, I fully supported their proposal for broader pharmacist vaccinations, which would clearly benefit public health throughout our state. “The benefits for pharmacist vaccinations will include increased accessibility to many medical practices which have long waiting lists, limited business hours or scheduled vaccination days. “The Government announced that under these new changes vaccinations can be administered by accredited pharmacists to anyone over the age of 16 for diphtheria, tetanus and whooping cough combination vaccine and the measles, mumps and rubella vaccine, in addition to the flu vaccine which pharmacists previously administered. “Pharmacists in Victoria and Western Australia have already been administering a broad range of vaccinations to the general public, which has been seen to be successful and has relieved time allocated to this procedure by general practitioners.” Mr Donato said.